At their most basic, moral behaviors, and the precursors that we may see in other species, promote and maintain the social regularity that is essential to successful social groups. In different species, these behaviors may include the adherence to social norms of behavior (i.e., limits on the severity of aggression, respect for possession) and even third party intervention in cases in which norm violations are witnessed by others. Indeed, we should expect behaviors that promote social regularity to be widespread among species. But a full human morality involves more than maintaining social regularity, and likewise, we see evidence for traits that are more specifically linked to moral behavior, such as a sensitivity to inequity and prosocial behavior, in other species. Regarding the first, many species respond negatively when they receive a less good outcome than a partner, even if their outcome is something that they would typically happily accept. Interestingly, this response is most common in species that routinely cooperate with non-kin, such as in group hunts, territorial defense, or coalitions and alliances. This correlation indicates a phylogenetic link between cooperation and inequity. At the individual level, inequity disrupts cooperation in ways that indicate that both the reward distribution and the partner’s behavior are important. Capuchin monkeys refuse to participate in cooperative tasks in which the rewards can easily be dominated by one partner. This refusal indicates that they can use prior experience to avoid potentially detrimental situations. This finding was particularly interesting because, while the monkeys lived together and therefore had extensive experience interacting with one another in other contexts, they showed this reaction to inequity on the first trial of the experiment, before they could have gained experience with this particular context. 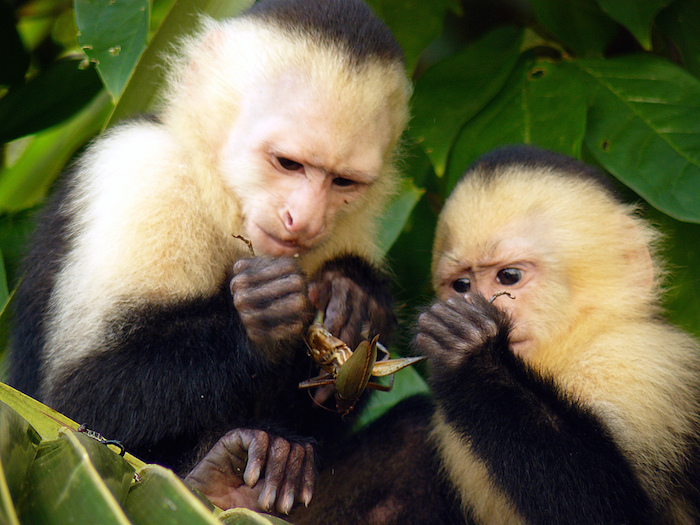 The capuchins studied will cooperate for unequal rewards as long as, over the course of the interaction, both individuals share the benefits. Again, while this is not full-fledged morality, expecting a certain kind of behavior from one’s group mates, and responding when this expectation is violated, is clearly a component of moral behavior. Morality, however, also requires noticing (and caring) when others are disadvantaged. Many species are prosocial, choosing to benefit their partners as well as themselves. Chimpanzees also notice when they are over-benefitted, or receive a better outcome than a partner, although they respond less strongly to being over-benefitted than to being under-benefitted (this is true of humans as well). Indeed, what became the sense of fairness likely first evolved as a response to getting less than a partner. Only in a few highly social, cooperative, cognitively sophisticated species did the second response, responding to being over-benefitted, evolve. In humans, our advanced capacities at planning, delay of gratification, and language allowed for the evolution of the full sense of fairness. 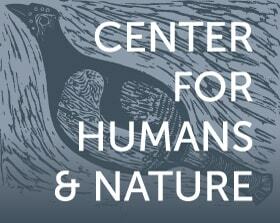 Empathy, an emotion underpinning human morality, also appears in other species in some form. While it is difficult to determine the cause of observed behaviors, there are numerous anecdotes indicative of empathetic behavior in primates, particularly in great apes, such as rescuing members of their group who were in danger or bringing food and water to incapacitated individuals. Experimental studies show that both rats and mice behave empathetically, for example working to free trapped group mates. Interestingly, rats show empathetic helping only to individuals from strains with which they are familiar. This latter behavior sounds distressingly close to xenophobia in humans, although the good news is that in these rats, living with rats of other strains induces future empathetic helping towards these former strangers. This latter point indicates another benefit to an evolutionary approach to morality; in many cases humans do not make moral decisions, and by highlighting the selective pressures that led to a behavior, we may better be able to predict when such break-downs occur and structure decisions and institutions to better avoid them. For instance, the above work with rats indicates that personal experience may be key to triggering moral behavior. In another example, in the aforementioned studies of cooperation in capuchins, we found that subjects refused to cooperate with previously unfair partners even when there was no chance of inequity, indicating that they were responding to their partner’s previous behavior rather than the possible outcomes. Such behavior may explain why people, too, focus more on past behavior than future outcomes, for instance when deciding whether to work with a partner with whom there is a history of one-sided deals. As the monkeys show, decisions are made not just on the current cost/benefit ratio, but the history of interactions among the participants. Although morality is a human phenomenon, we can learn much about its evolutionary history by studying precursors of moral behavior in other species. Morality is, at its most basic, a biologically evolved suite of behaviors that help maintain the social regularity necessary for smooth functioning of the social group. This basic function is likely widespread in vertebrates, many of which show flexible cooperation, and possibly in invertebrates as well. In a more limited set of species, we see evidence of behaviors that are more specifically moral, such as prosocial decisions and responses to inequity (the root of the human sense of fairness), as well as empathy, a mechanism that likely promotes moral behavior. By studying the evolution of morality, we gain a better understanding of how different social and ecological contexts may shape moral decision-making, and we gather insight into why moral decision-making breaks down in some situations. Ultimately, such comparative study uncovers the evolutionary roots of moral behavior, providing insight into who we are and what it means to be human. I thank Jeff Schloss for pointing out this second analogy. Sarah Brosnan is Associate Professor of Psychology, Philosophy and Neuroscience at Georgia State University and holds a visiting professor position at the Michale E. Keeling Center for Comparative Medicine and Research, MD Anderson Cancer Center.